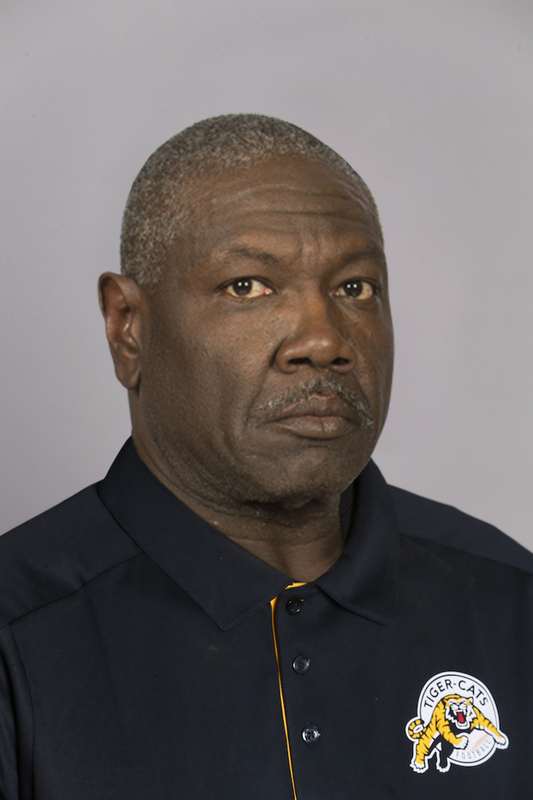 Randy Melvin was named Defensive Line Coach of the Hamilton Tiger-Cats January 16, 2019. Melvin has over 30 years coaching experience, including three stops as a defensive line coach in the National Football League with the New England Patriots (2000-01), Cleveland Browns (2005-08) and Tampa Bay Buccaneers (2012-13). Melvin spent the 2018 season as Defensive Line Coach with the BC Lions on Mark Washington’s staff, returning to the CFL in 2018 after six years having formerly coached the Lions’ defensive line in 2011. Under Melvin’s watch, the Lions tied for the league lead with 45 quarterback sacks in 2018, and defensive ends Shawn Lemon and Odell Willis tied for third in the CFL with 11 sacks each. Melvin has recently served as Defensive Line Coach at Purdue University (2016), as well as one-year postings at the University of Miami (2015) and Florida International (2014), in addition to his two-year stint with the Tampa Bay Buccaneers (2012-13). A native of Aurora, Illinois and a graduate of Eastern Illinois, Melvin was a starter on the defensive line for the Panthers for three seasons and received AP All-America recognition (Division II) in 1979 and 1980. He also earned his master’s degree from the school in 1993 and was inducted into the school’s Hall of Fame in 1995. In 1988, Melvin entered the collegiate coaching ranks at his alma mater Eastern Illinois as Defensive Line Coach. After seven seasons with Eastern Illinois, he left for Wyoming to become Defensive Tackles Coach for the 1995 and 1996 seasons. From 1997 through 1999, Melvin served as Purdue’s Defensive Ends Coach. During that same time period, Melvin was part of NFL’s Minority Coaching Fellowship program and gained valuable experience with the Denver Broncos as well as the New York Jets where he worked with defensive coordinator Bill Belichick. Belichick named Melvin to his staff when he took over the coaching reins of the New England Patriots in 2000. Melvin would spend two seasons with the Pats serving as Defensive Line Coach and was part of the 2002 Super Bowl championship team. In 2002, Melvin began his first stint at Rutgers where he coached the Scarlet Knights’ defensive line until 2004. He re-joined the ranks of the NFL again from 2005 to 2008 with the Cleveland Browns, and had two one-year stints at Temple University in 2009 and Rutgers in 2010 before his first CFL position in 2011 with BC.